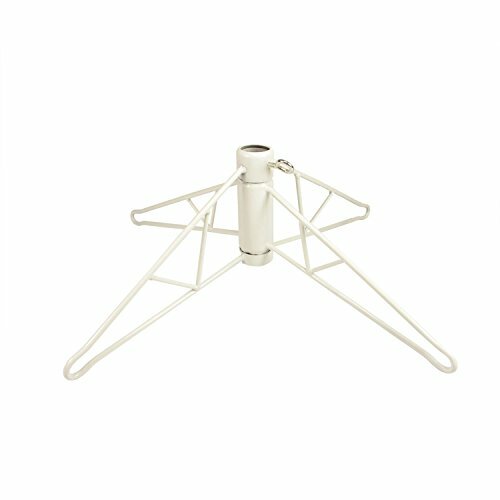 Vickerman White Metal Christmas Tree Stand for 10' - 11.5' Artificial Trees by Vickerman at Two Clock. MPN: 31319893. Hurry! Limited time offer. Offer valid only while supplies last. For use with artificial Christmas trees sized 10' - 11.5' high. Color: white. Pole diameter: 2''. Locks in place. Folds down for easy storage.